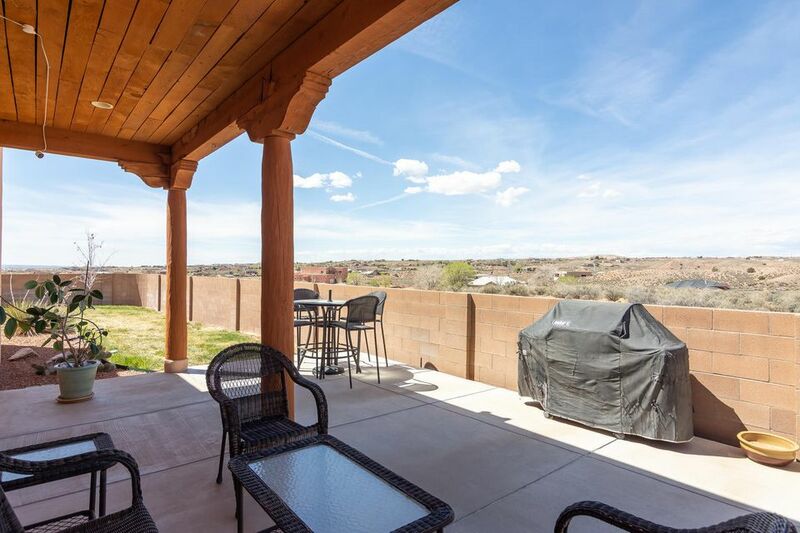 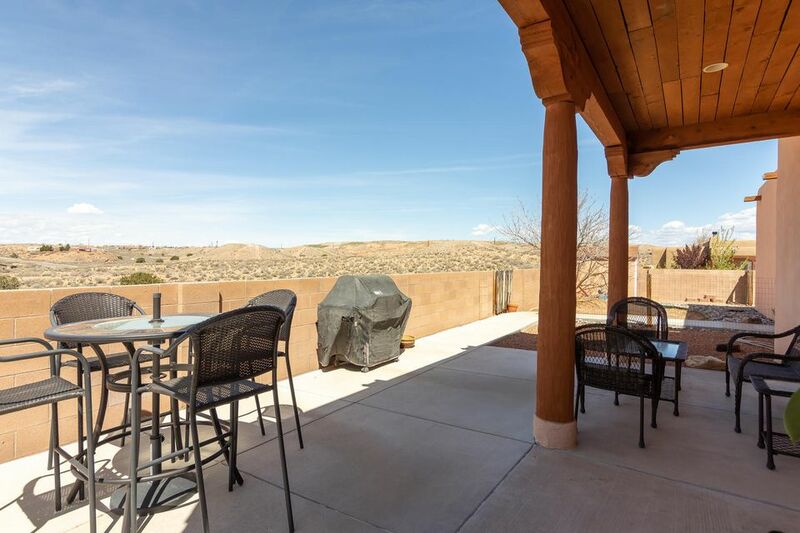 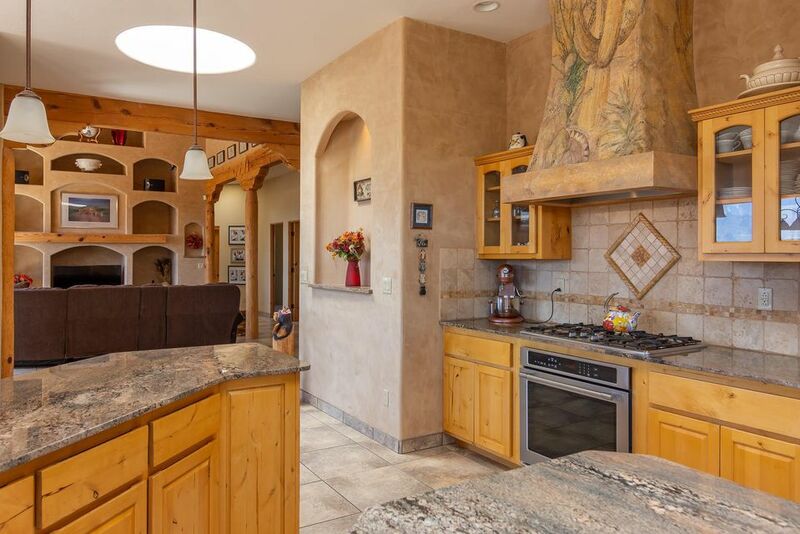 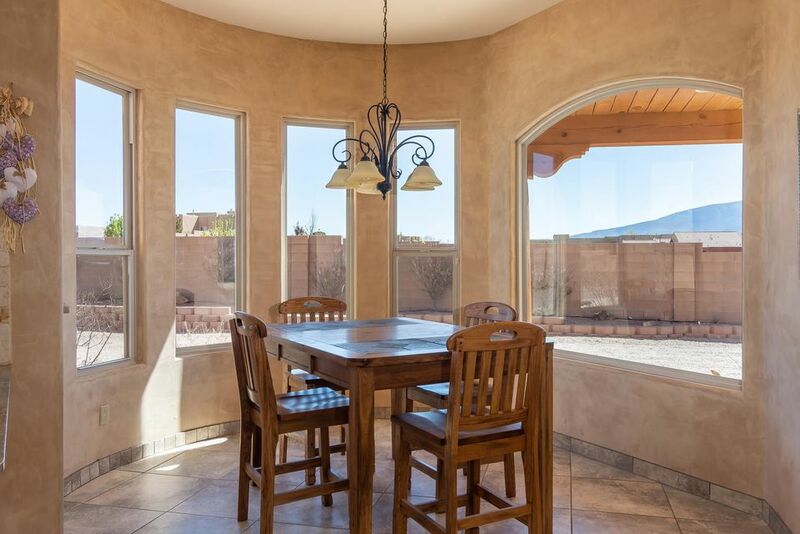 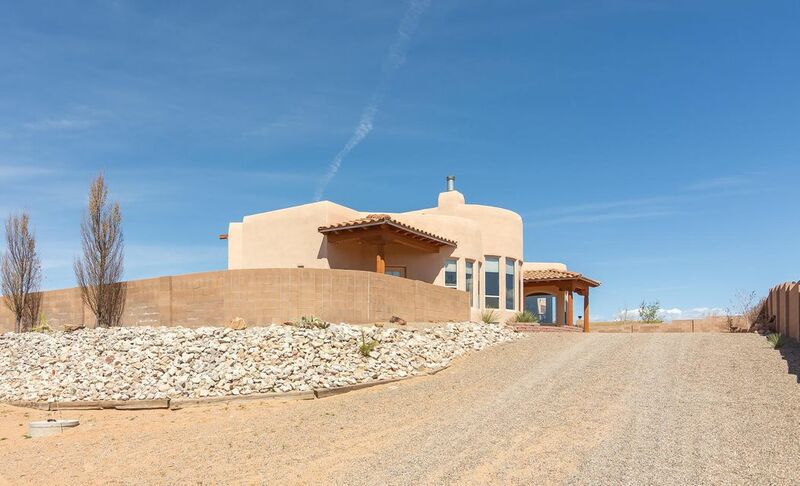 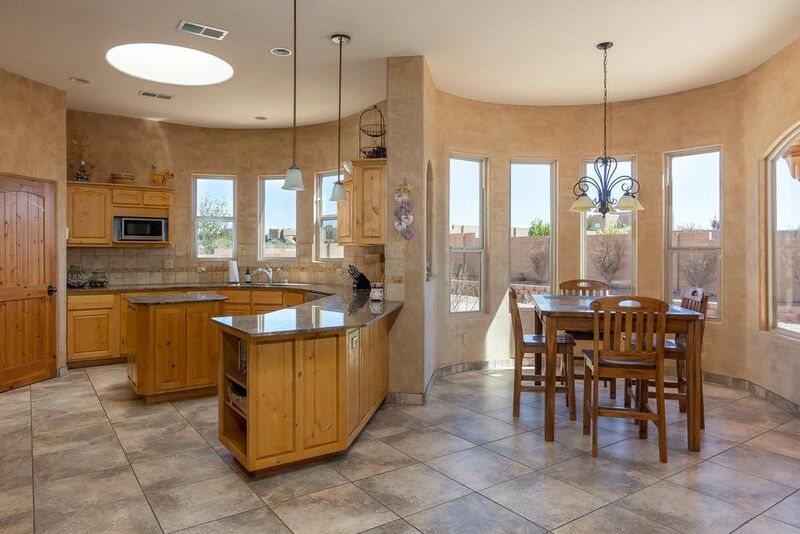 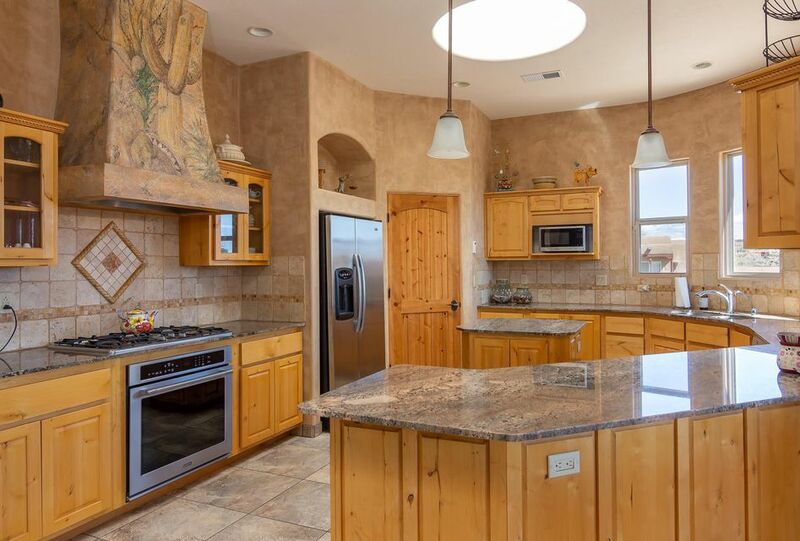 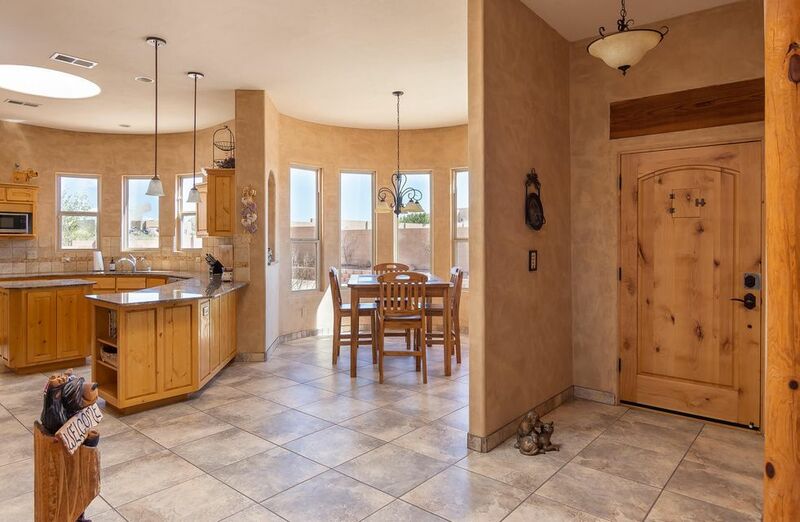 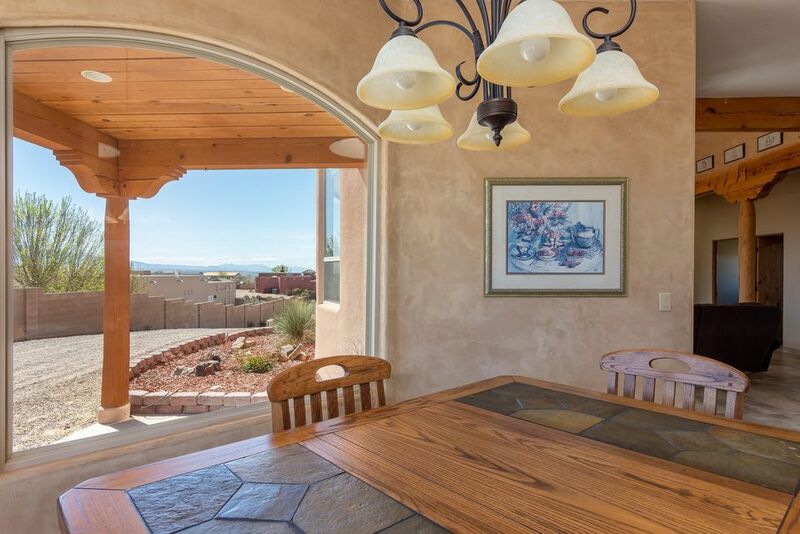 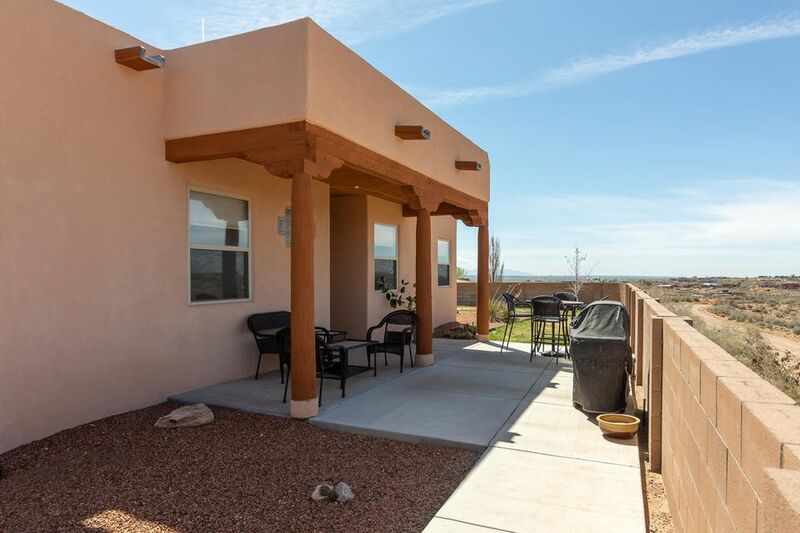 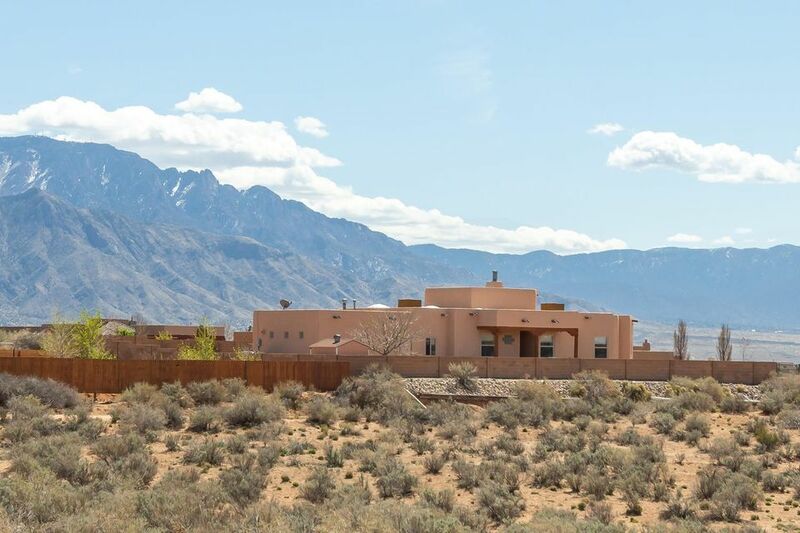 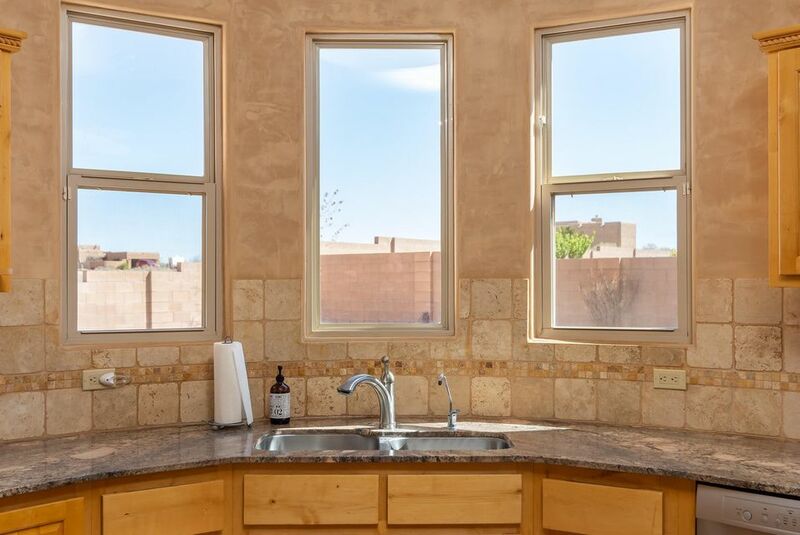 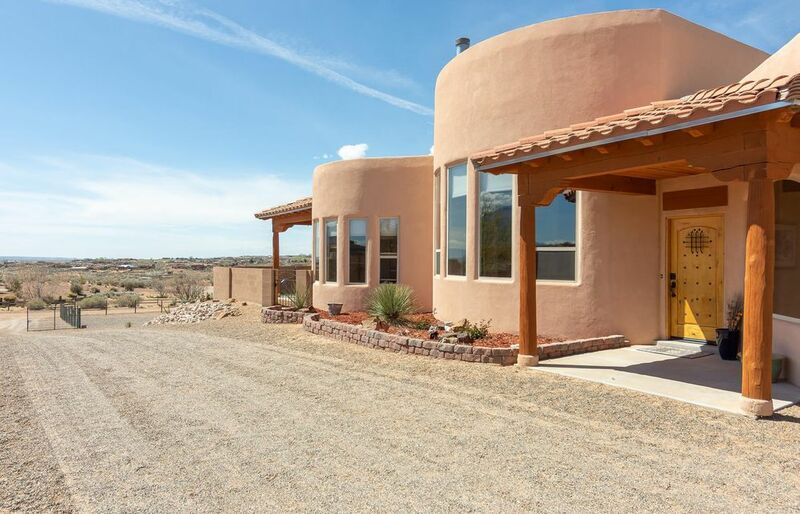 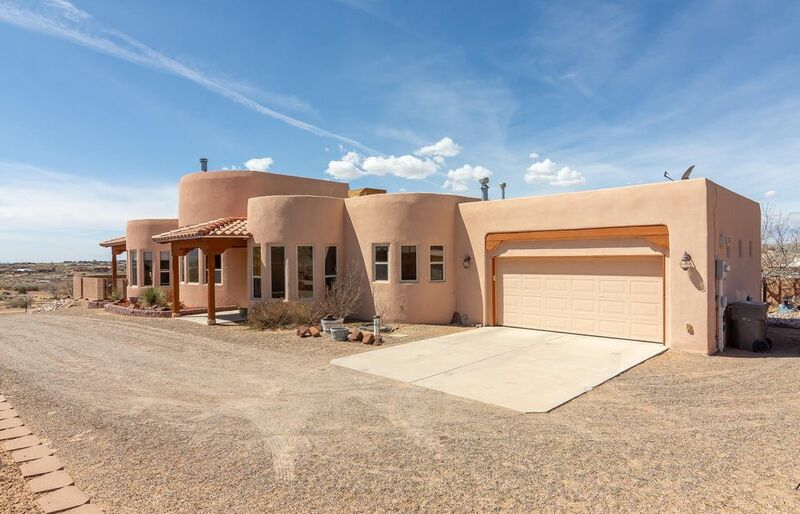 CAPTIVATING & STUNNING Custom situated on a .62 corner lot capturing sweeping VIEWS of the Sandia Mountains & beautiful New Mexico sunset! 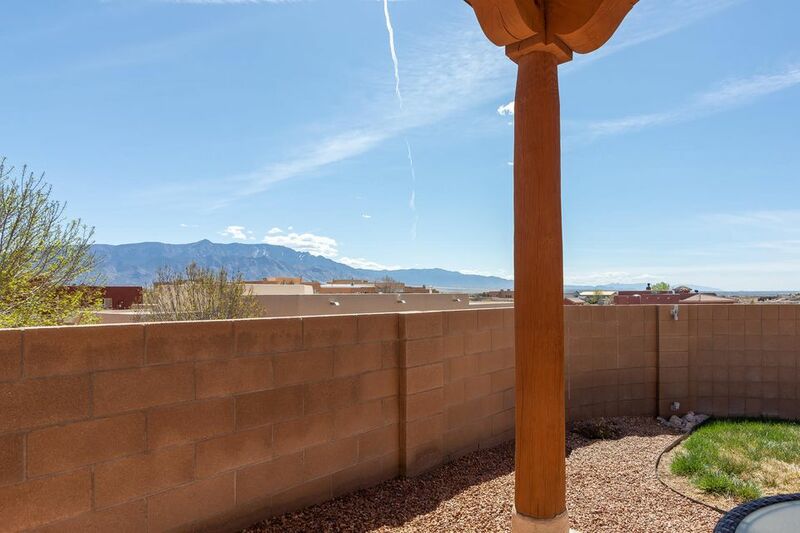 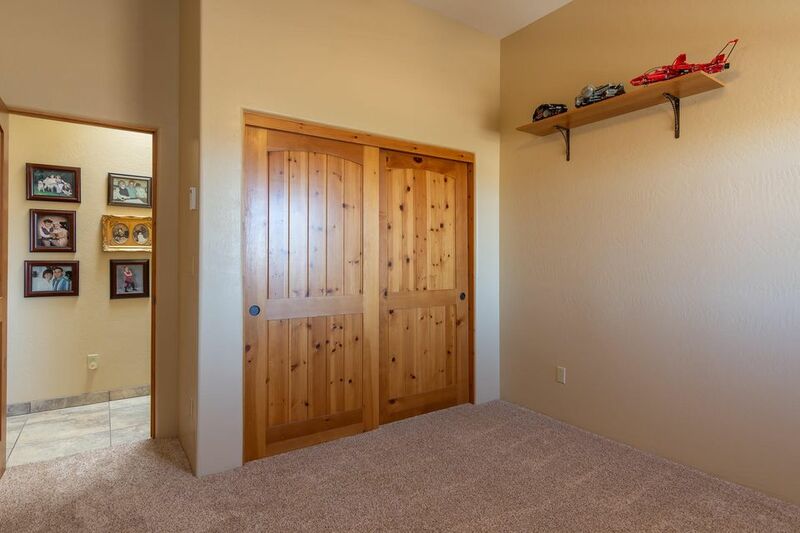 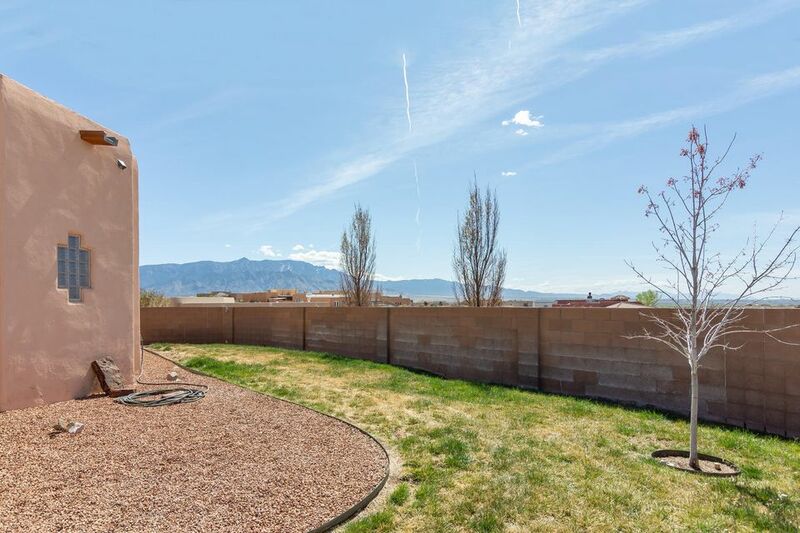 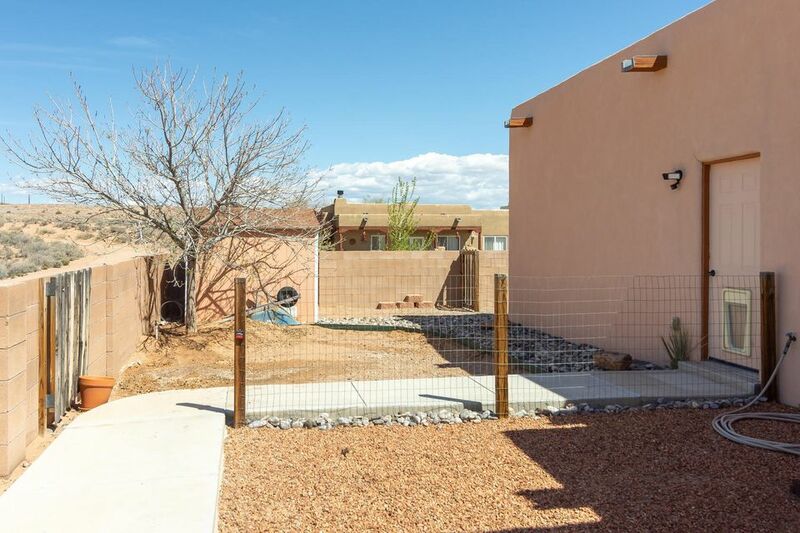 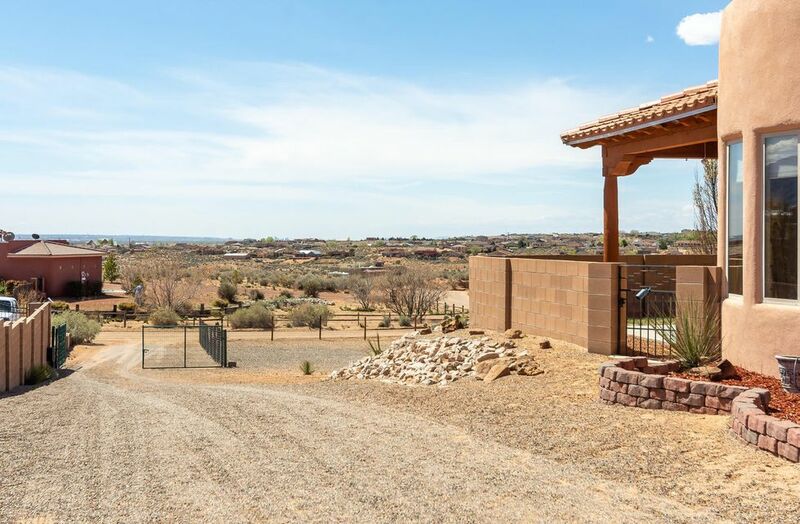 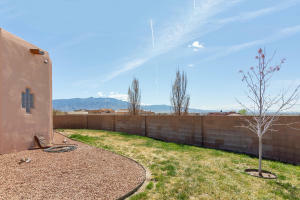 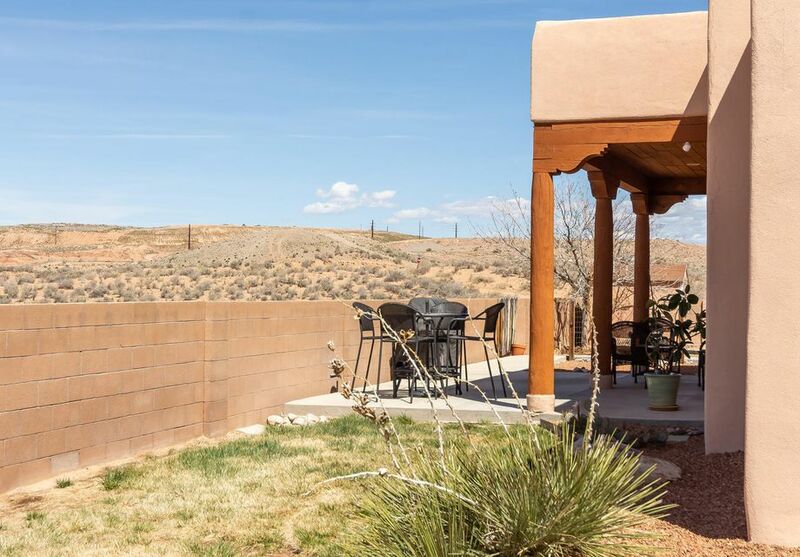 Completely walled & fenced lot with a private security electric gate! 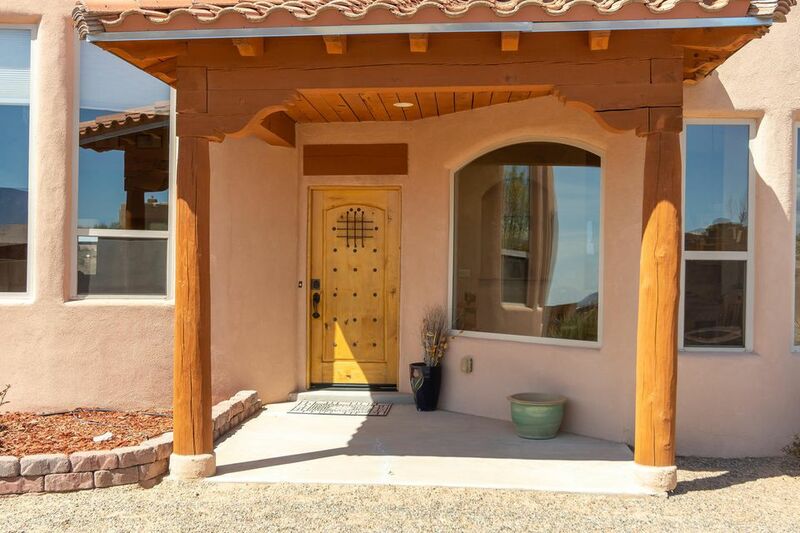 Step inside & fall in love! 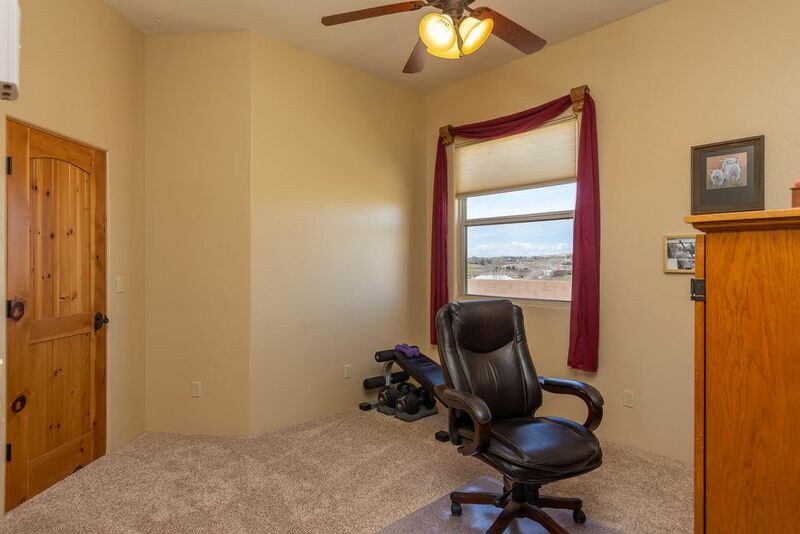 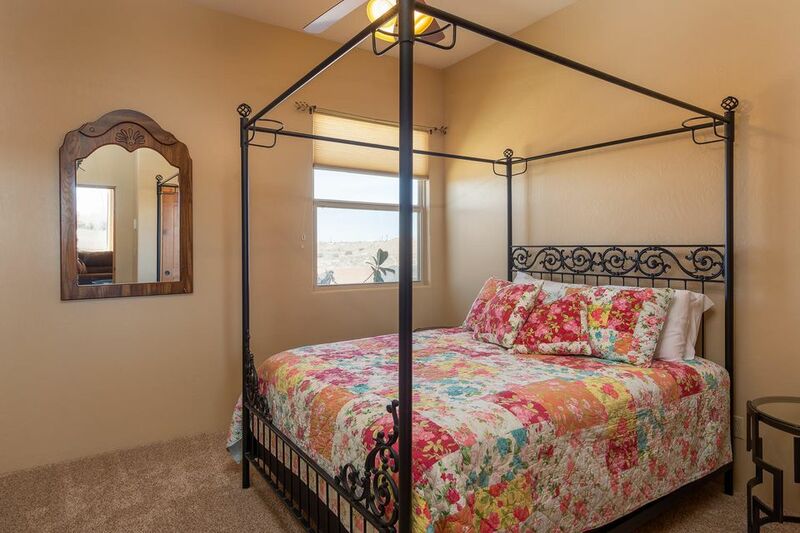 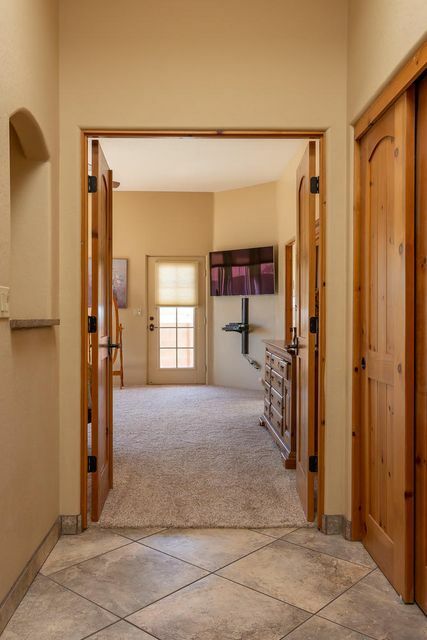 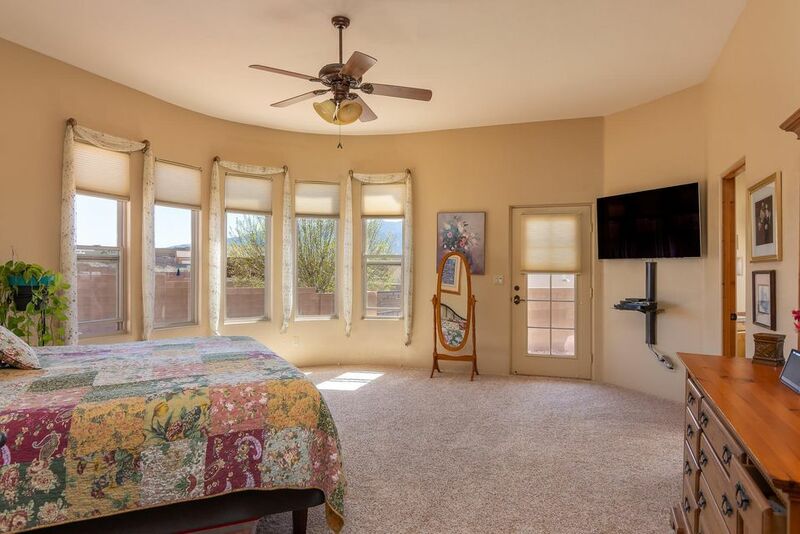 Discover raised tongue/groove beam ceilings, gorgeous diamond plaster finish walls, lighted nichos, striking tile floors throughout & NEW carpet in the bedrooms! 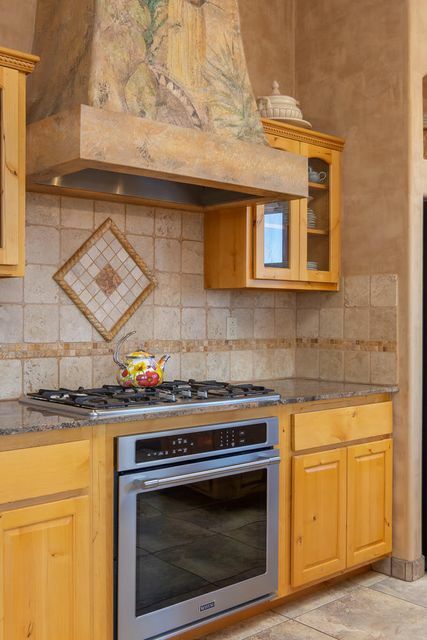 Chefs kitchen with custom pine cabinets, granite, stone back splash, new convection oven, gas cook top, island, walk-in pantry & dining area with VIEWS! 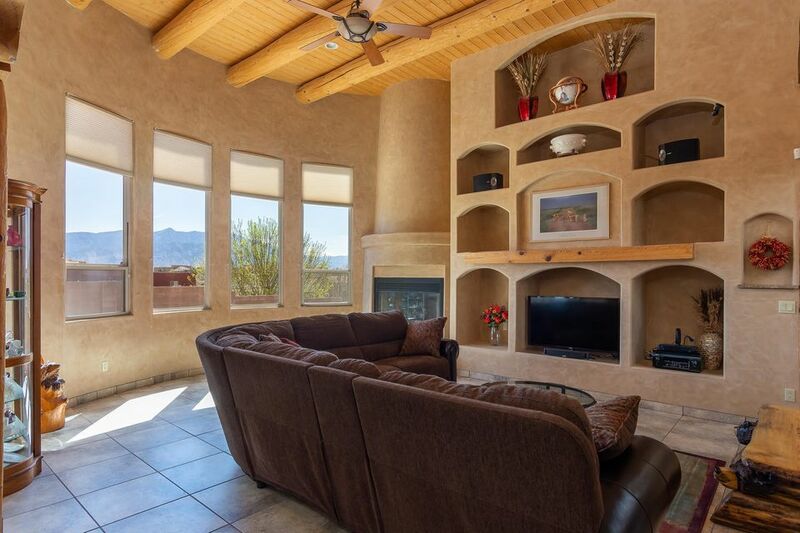 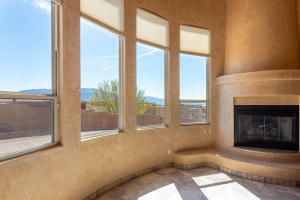 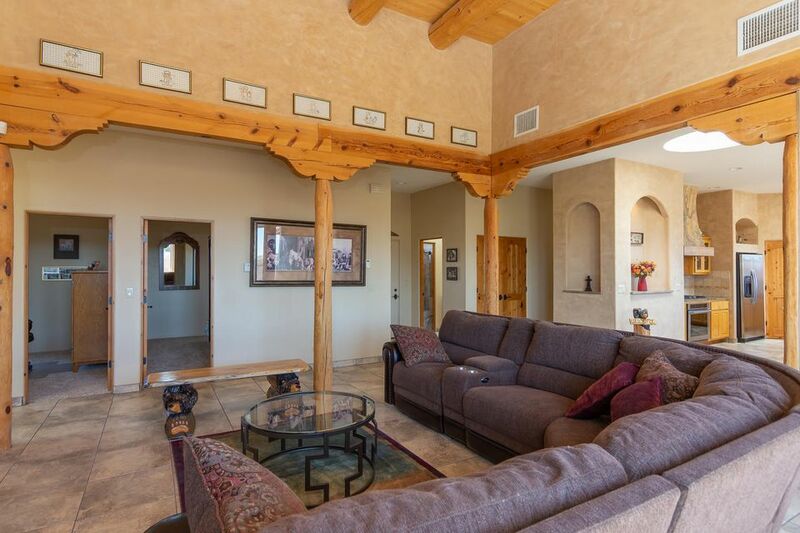 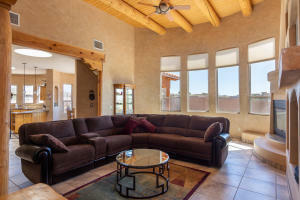 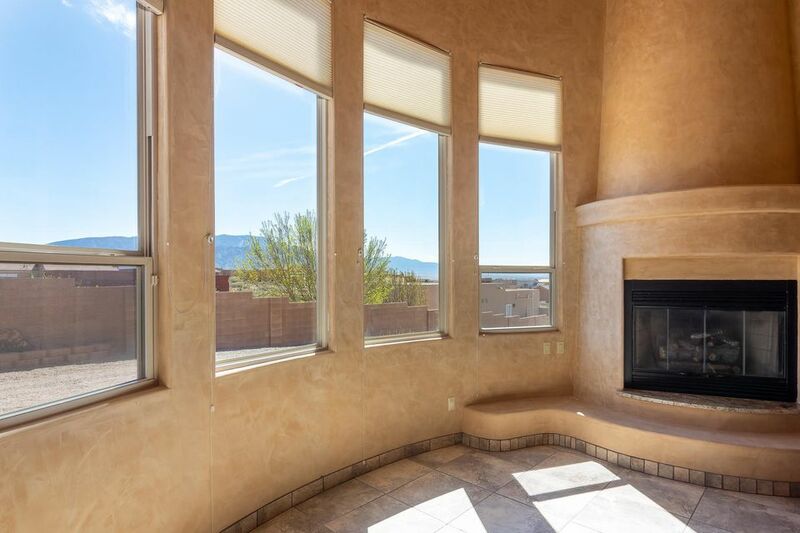 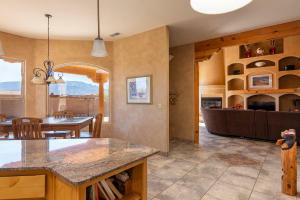 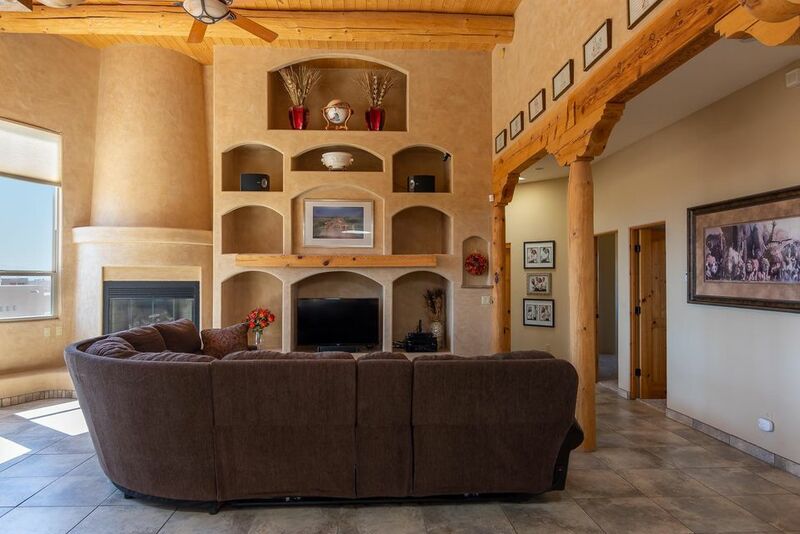 Gorgeous great room with kiva gas log fireplace, towering ceilings, & curved wall of windows framing the Sandia Mountains! 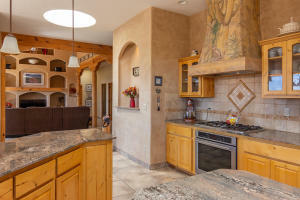 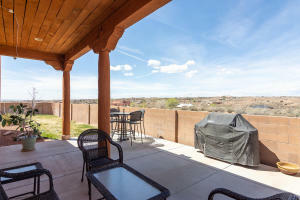 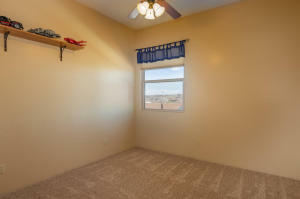 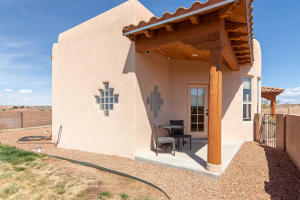 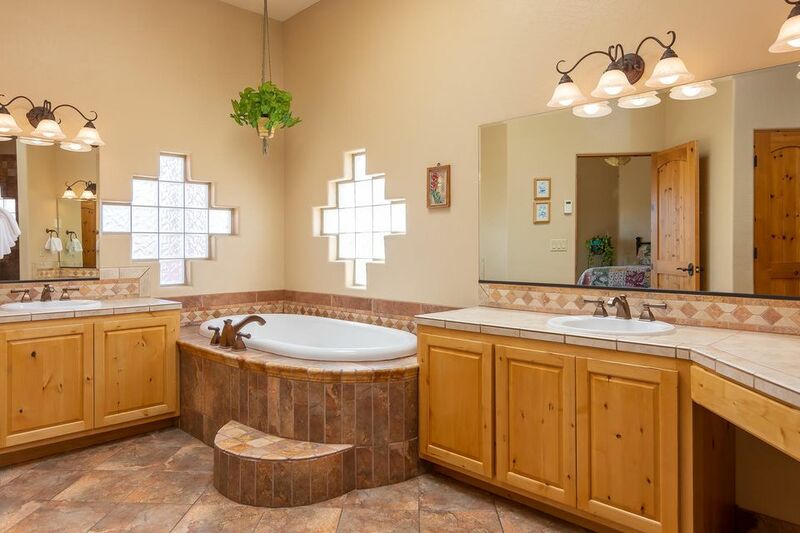 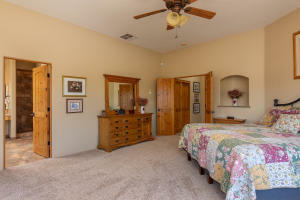 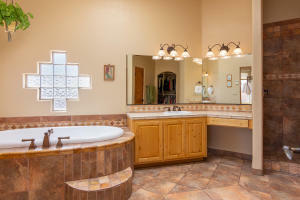 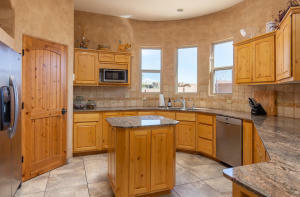 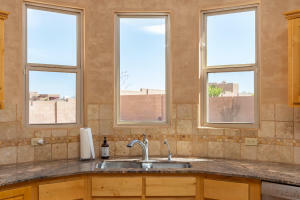 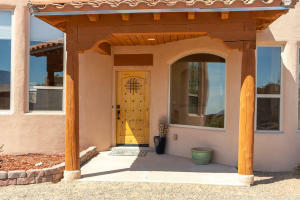 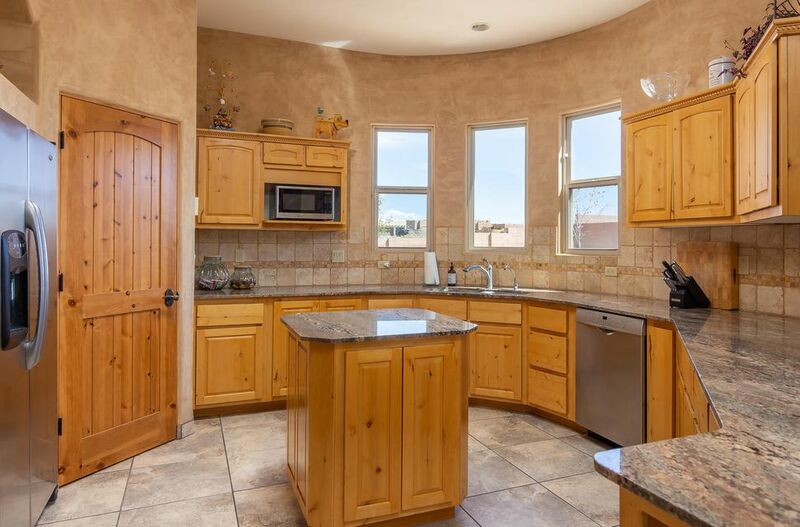 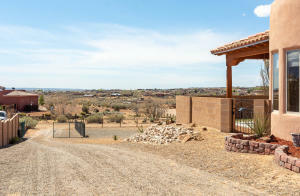 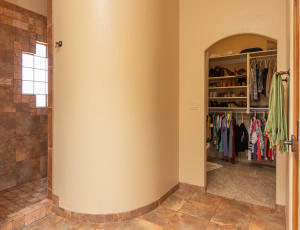 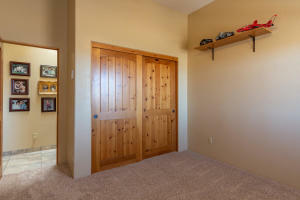 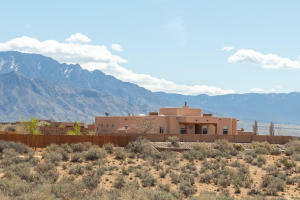 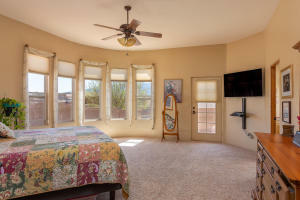 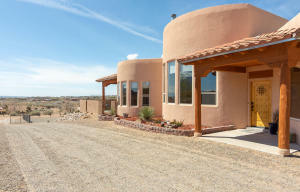 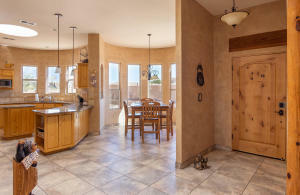 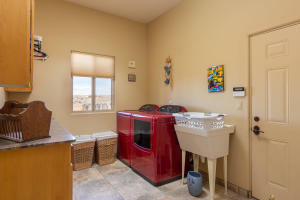 Master retreat offers VIEWS; master bathrm with jetted tub, snail tiled shower, walk-in closet! 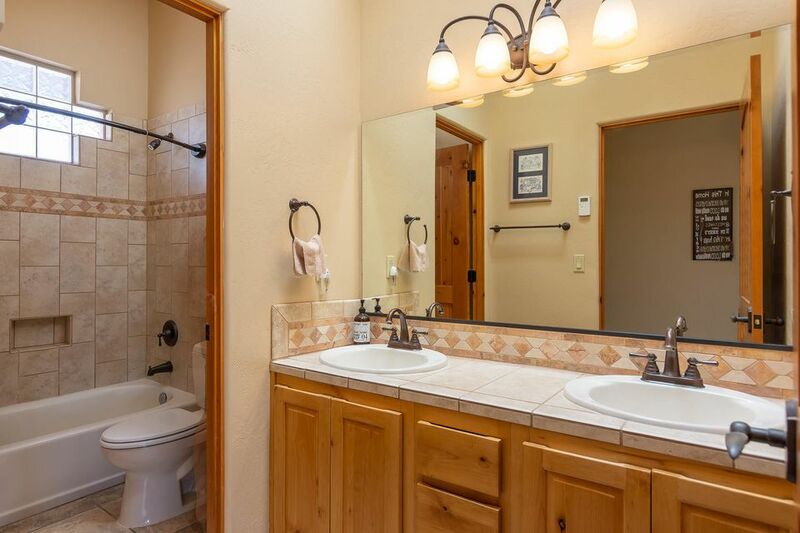 NEW water heater 2018! NICE! 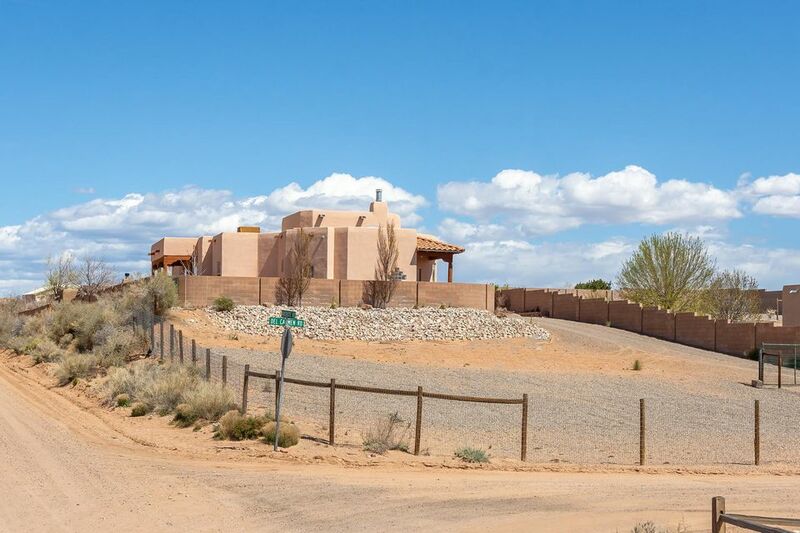 Directions: NM528 to Iris (north of Northern). 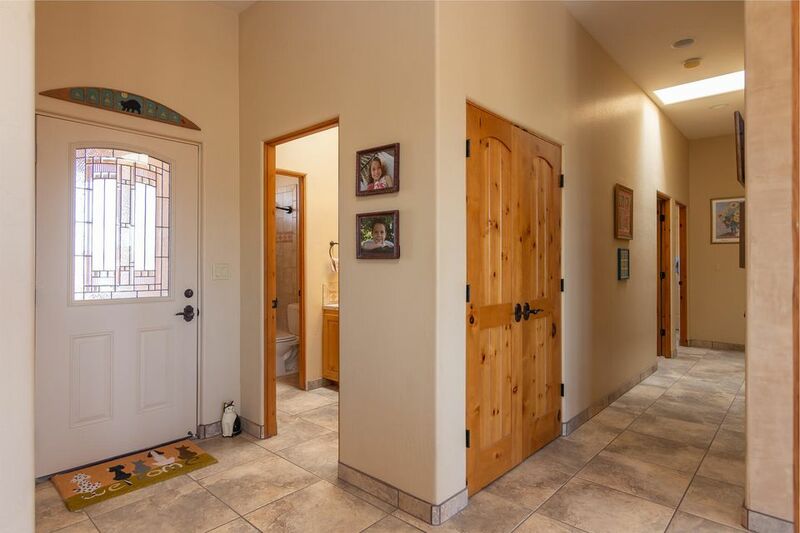 Turn west on Iris to Anchiote. North to Del Carmen. 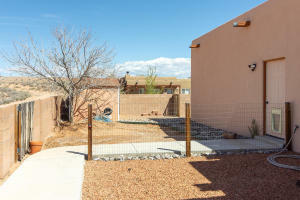 Home on NE Corner Lot.